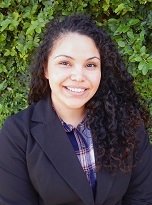 This week, we’ll be sharing with you one of YOTO’s newest staff members: Monika Cabrera! Monika is one of four Program Coordinators who work one-on-one with the students enrolled in Youth On Their Own. Learn a little more about Monika and how she came to become one of YOTO’s most passionate team members! “I graduated from the University of Arizona in May 2016 with a Bachelors of Science degree in Community Education and a minor in Special Education. Throughout college, I worked part-time for Jacobs YMCA in their after school program and created curriculum for their summer camp. Throughout my time at the UofA, I also had various internships where I worked with Literacy Connects, Grijalva Elementary School, Apollo Middle School, and Borton Primary Magnet School. I first started getting involved with Youth On Their Own as an AmeriCorps member through Arizona Serve. My title was Student Services Navigator, and my main project was to contact with and support students who were flagged as “at-risk” because they had a GPA lower than a 2.0. I would meet with them to create an improvement plan and connect them with services such as summer school or weekend academy to ensure that they were back on track to graduate and could start receiving their full stipend check from YOTO. Once the school year ended, I worked closely with Jacki Vaughan-Chaldy (YOTO’s College & Career Development Coordinator) to contact over 100 graduates to guide them in their next steps after high school.